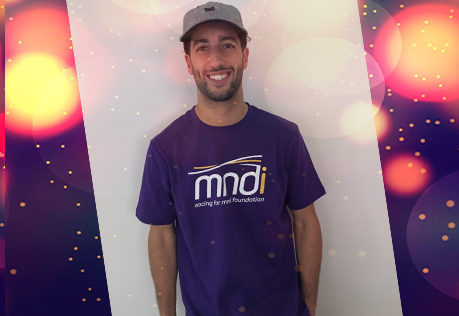 The annual Racing for MNDi Soiree will be held at the Crown Perth on the 10th of December, 2018. 5 overnight stays at Crown Towers Perth. Last year, this table sold via a normal negotiation for $10k, but we are hoping to eclipse this amount this year. Participating in this charity auction is very simple, with the steps following the same structure as when purchasing a property using the Openn Negotiation method of sale. Click on the listing and click ‘Join as a Buyer’ where you’ll need to input an opening bid, above the current bid. Once you’ve inputted your opening bid, which does not need to be your final bid, we’ll send through a purchaser terms agreement. This agreement outlines the details of the prize which must then be signed to confirm you’ll make the payment should you be the ultimate winner. Once the agreement has been signed, return it to assunta@racingformndi.com.au so you can be accepted on the app as a qualified bidder. After becoming a qualified bidder, participants will be able to see the number of other bidders also registered and the current bid amount at any point in time. On Wednesday 21 November at 5pm the final bidding stage will commence. A countdown clock will be displayed, allowing qualified buyers time to improve their bid. Each time a bid is made, the clock resets for two minutes until no more bids are made and the prize is sold to the highest bidder. Don’t want to bid? Join as an Observer for free by entering the code elz089 so you can still watch it all unfold in real time during the final bidding stage. Openn Negotiation is delighted to work with the MNDi Foundation on this innovative new approach to their charity auction. While the platform was developed for the real estate industry, the technology is easily adapted for use in charity auctions to achieve the best possible price for an item by maximising the number of buyers that can participate. To find out more about how the Openn Negotiation process works, visit our website at www.openn.com.au.